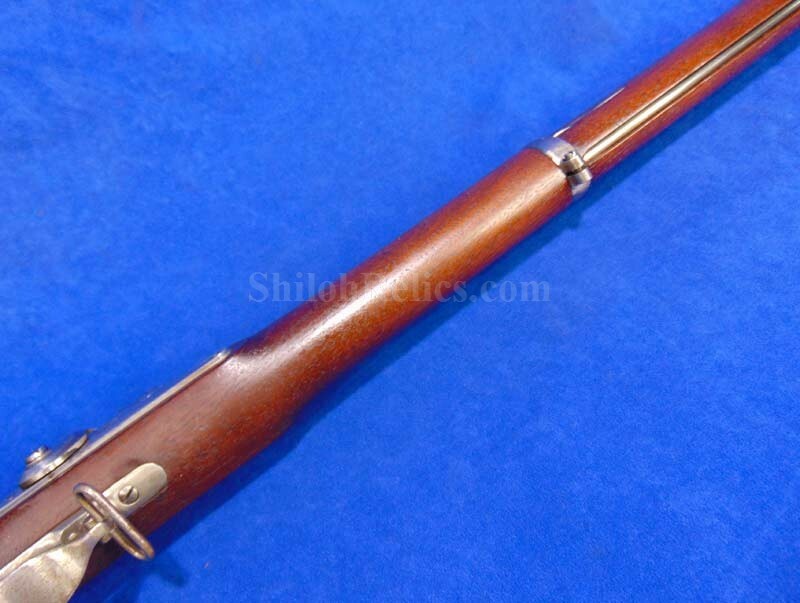 This is a gorgeous Civil War model 1863 Springfield military rifle. 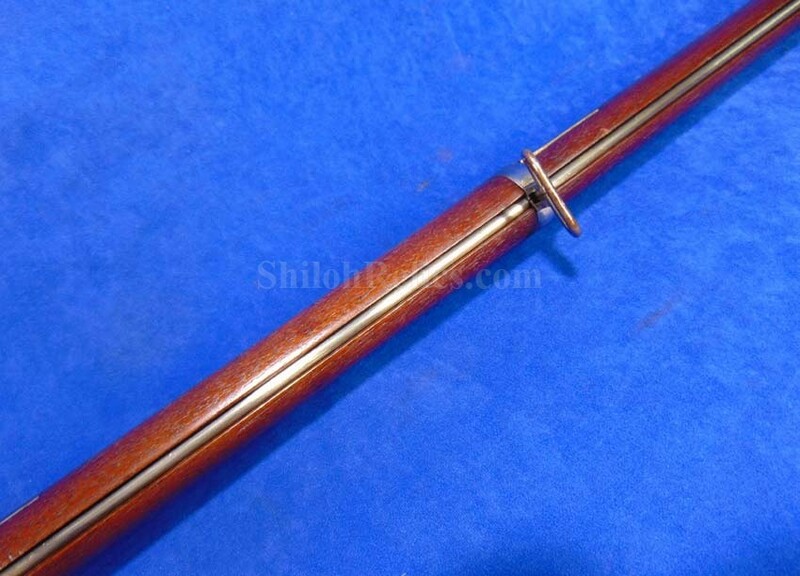 It is as nice as you will encounter. 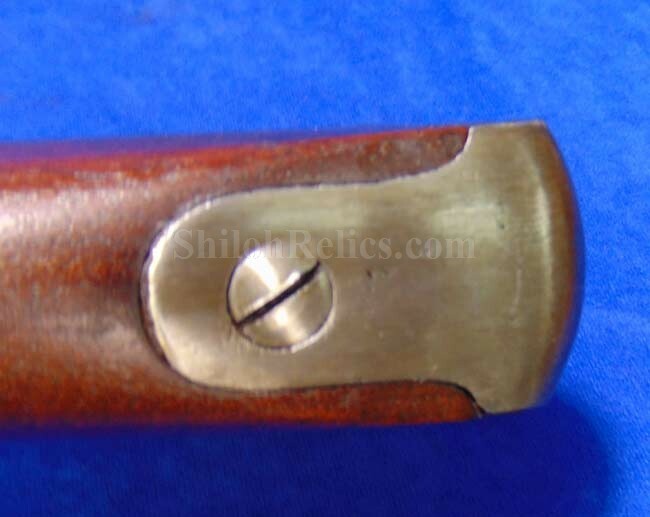 This one has nice bright metal as you can see in the images. 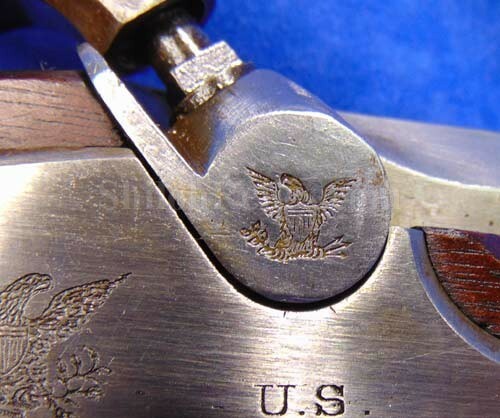 This one has the 1863 production date on the lockplate as well as the desirable "SPRINGFIELD” arsenal mark and Union eagle. 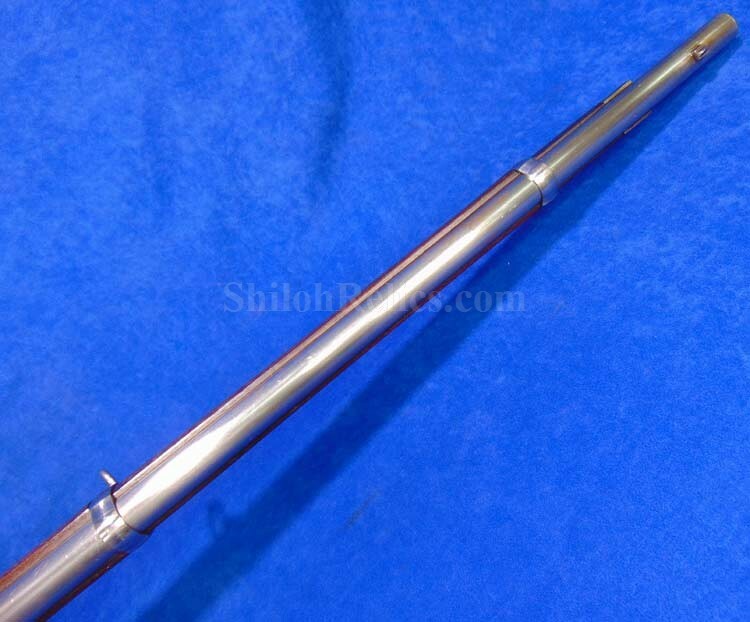 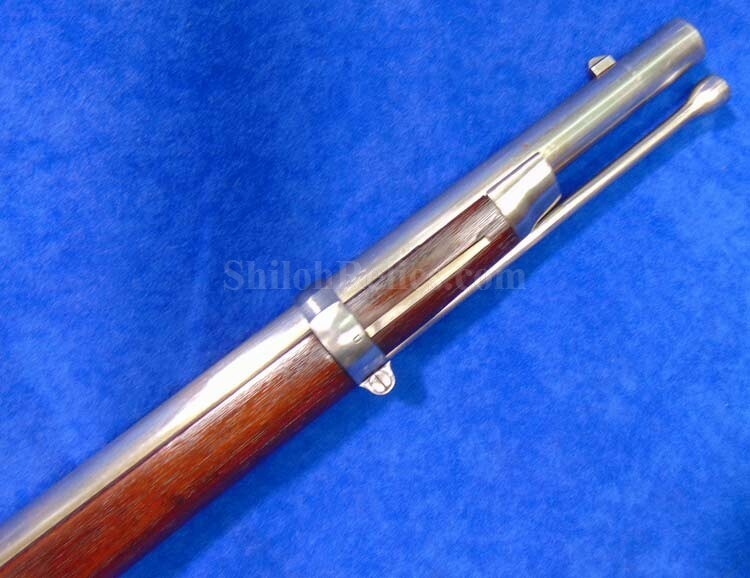 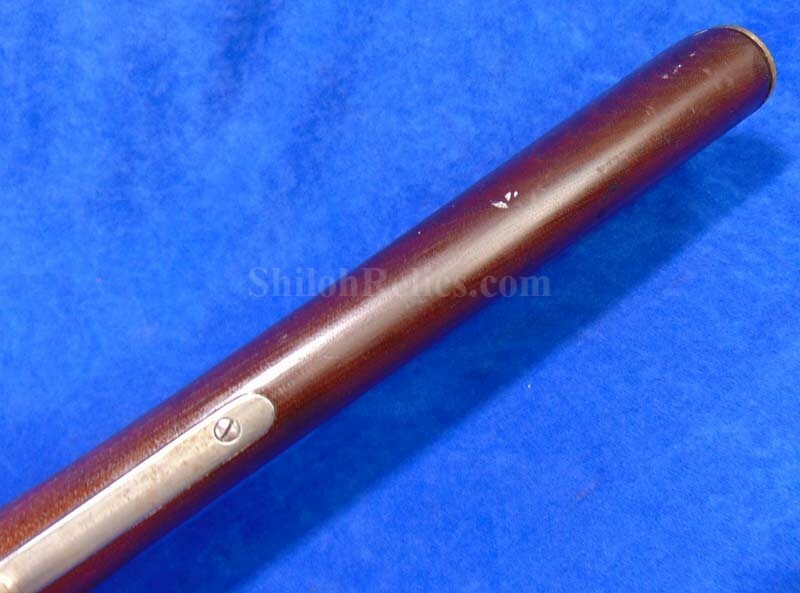 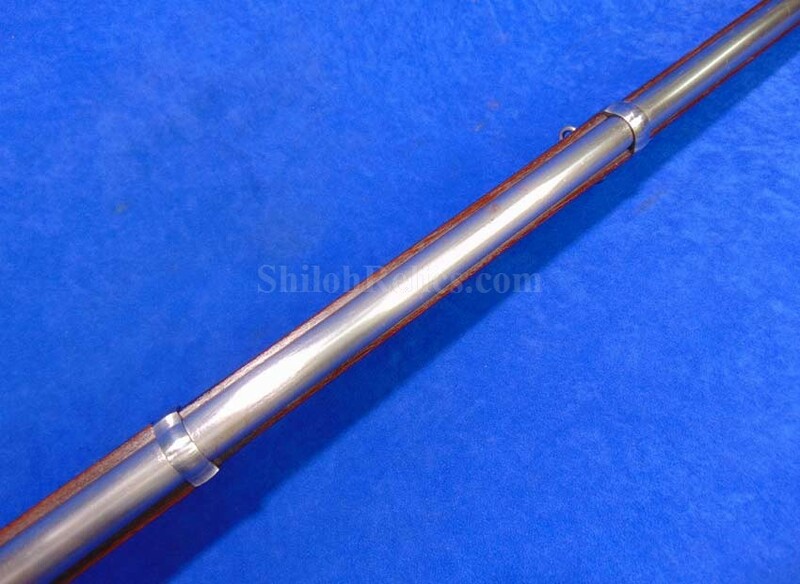 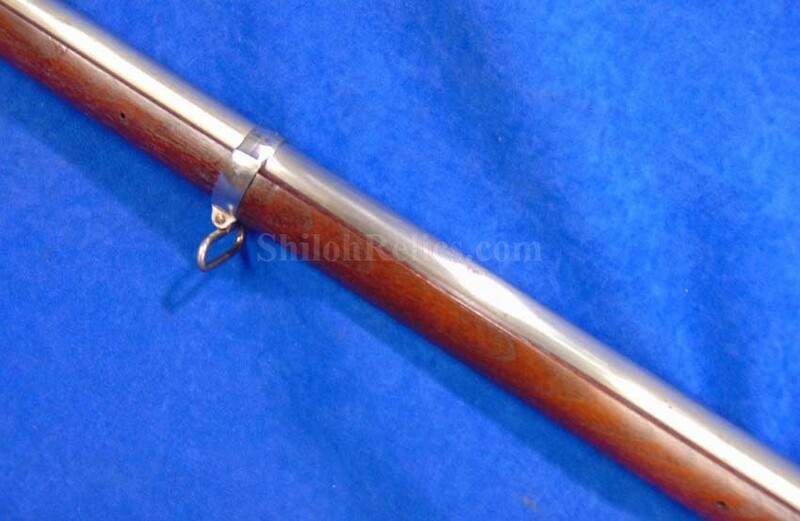 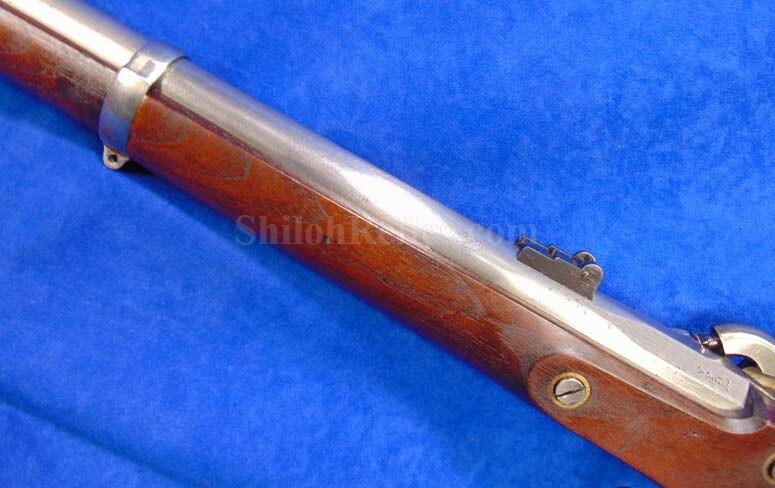 The barrel is full-length with the original front and rear sight intact. 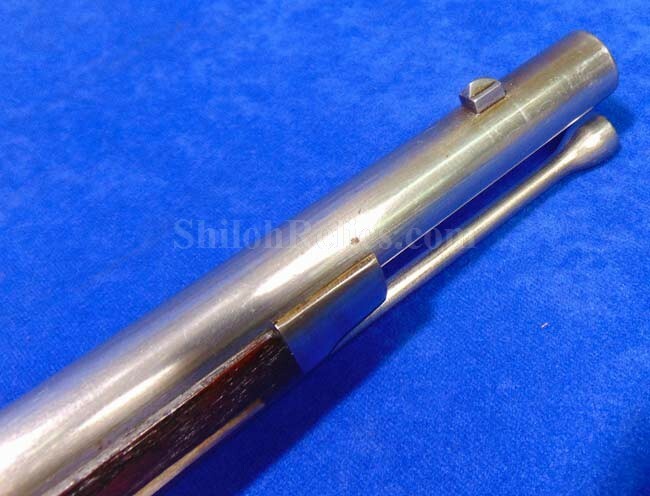 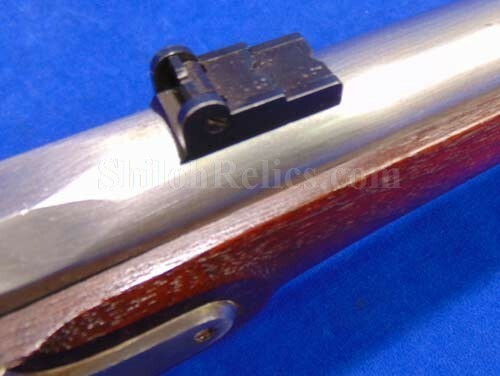 The rear sight still has the original double leaf present which is correct for this production gun. 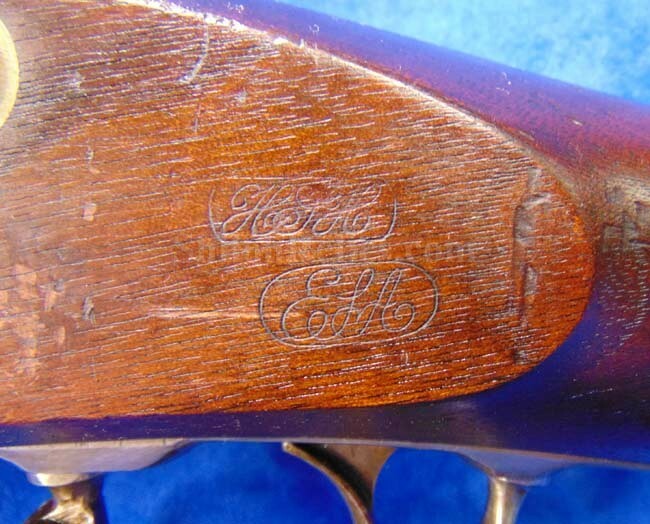 The sight has all of the original factory bluing intact. 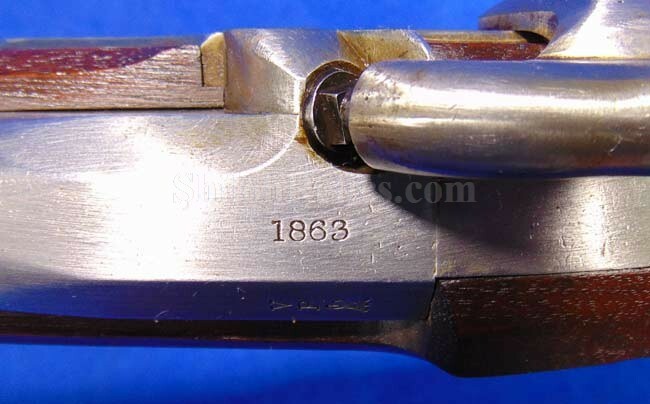 At the breech of the barrel you can clearly see the inspector marks and matching 1863 production date. 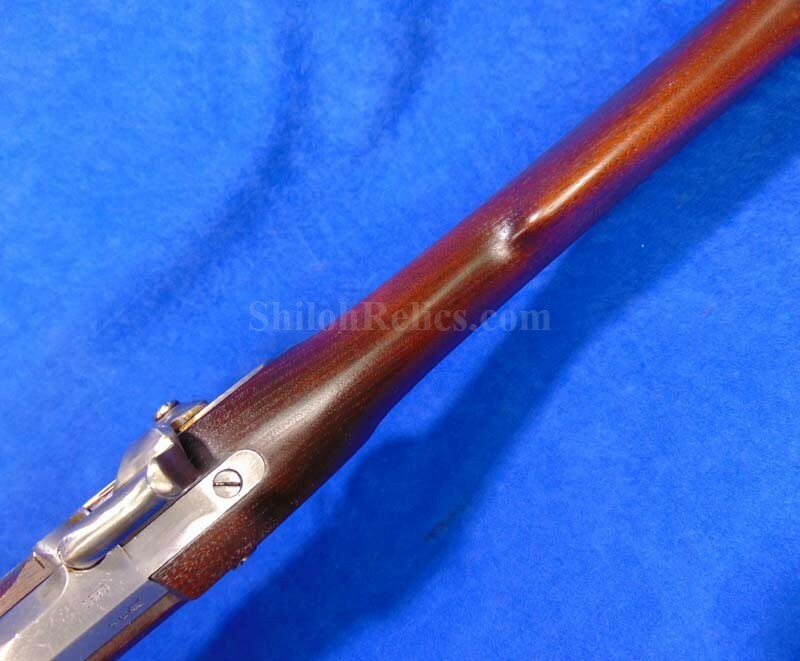 On the inside of the barrel it still has excellent rifling remaining all the way down. 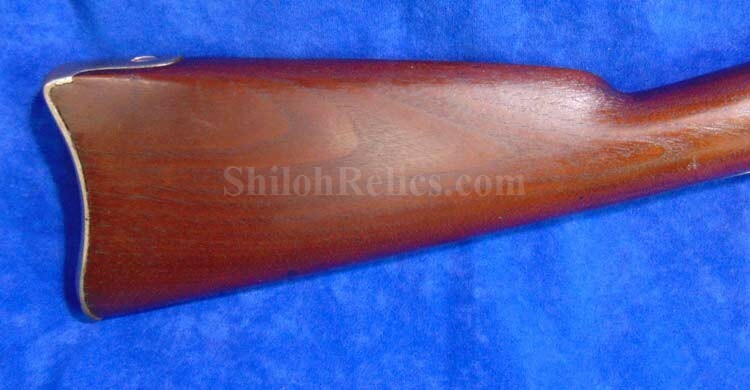 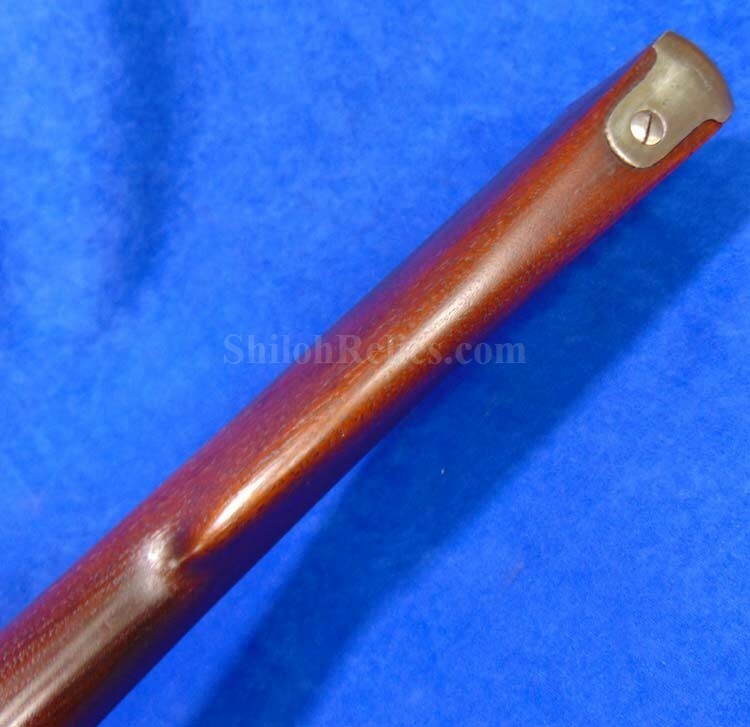 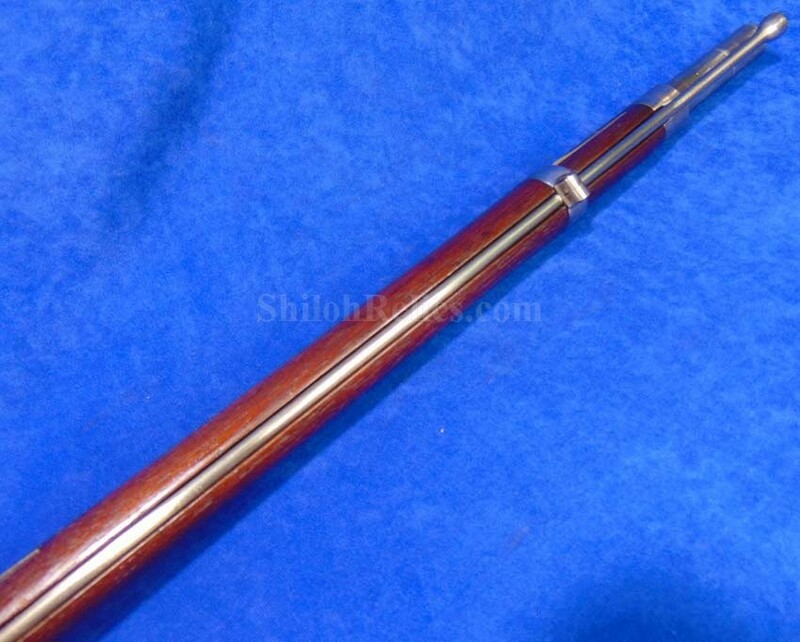 The stock is full-length with a beautiful furniture grade grain to the wood. 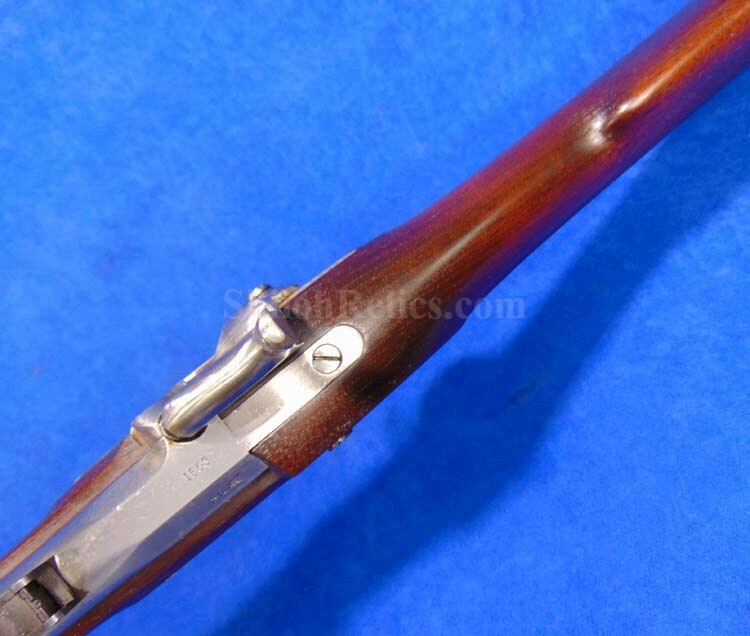 The stock has a nice medium tone to the walnut wood. 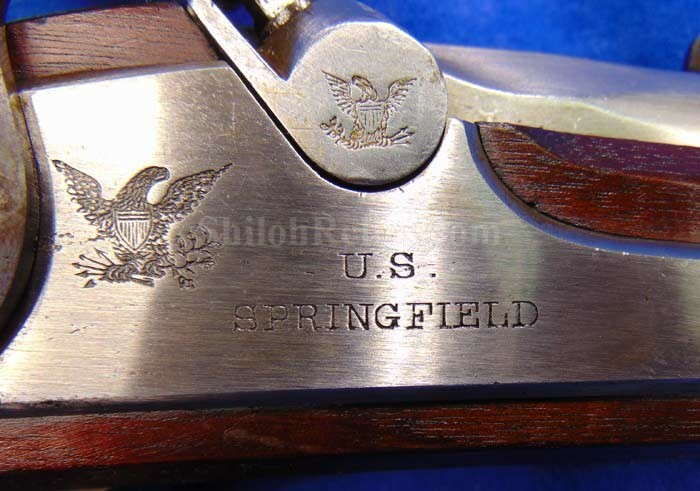 On the back side of the stock opposite of the lockplate it has the correct Springfield "ESA" inspector cartouche stamps. 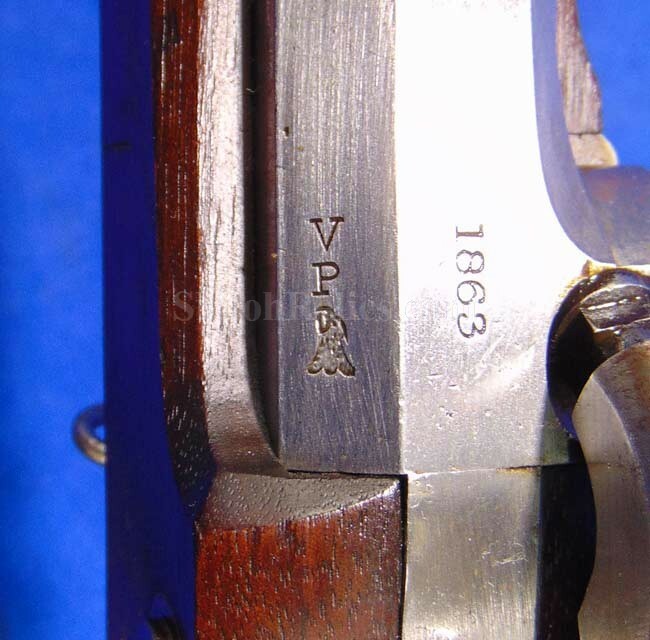 This is where the gun was approved for military service by the government inspector and lets us know it is still on the Springfield wood. 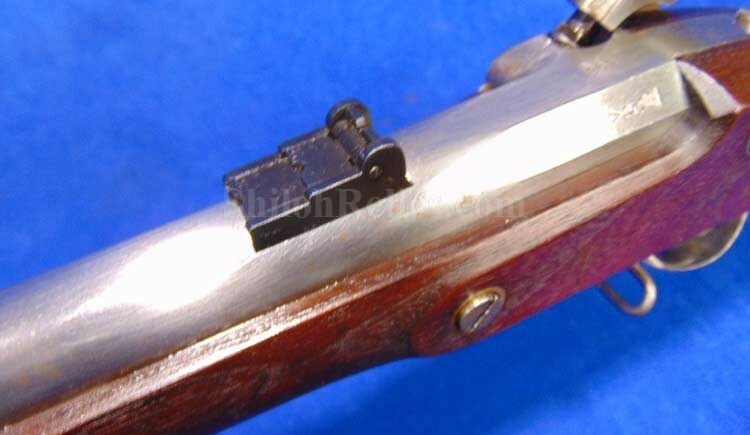 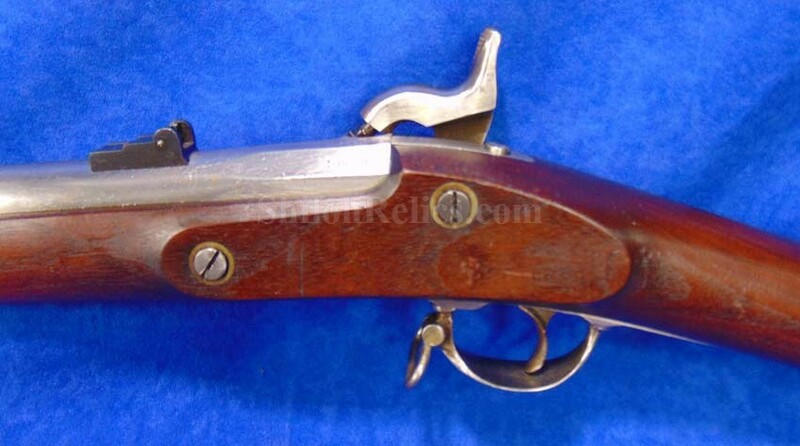 The gun has both of the original two sling swivels underneath the gun. 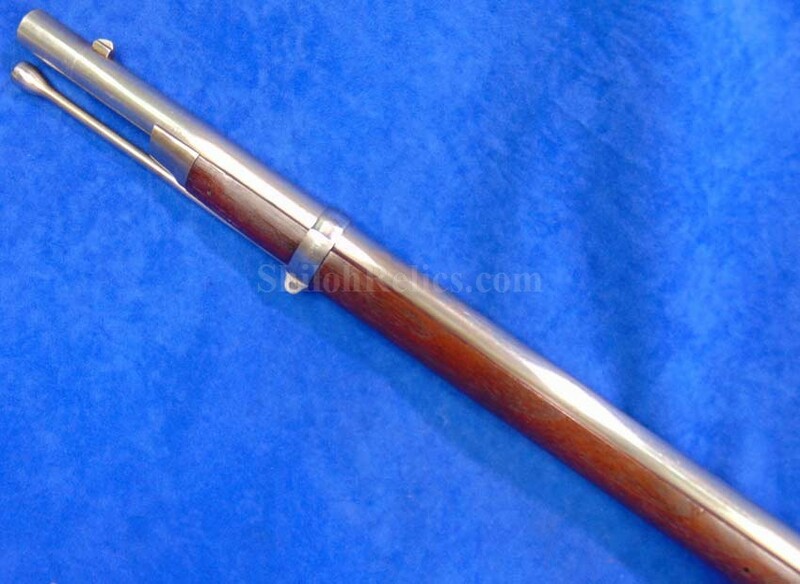 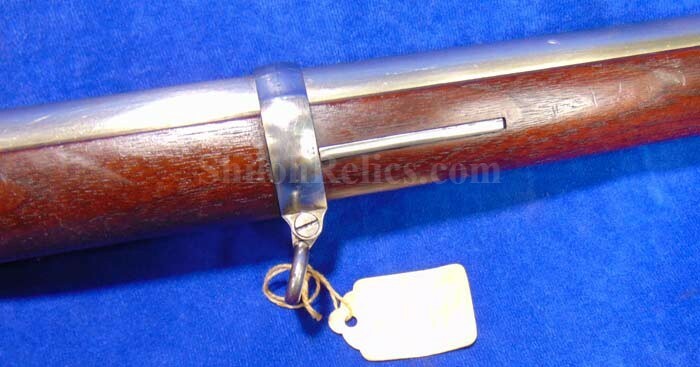 It has very nice looking original ramrod in the channel under the barrel. 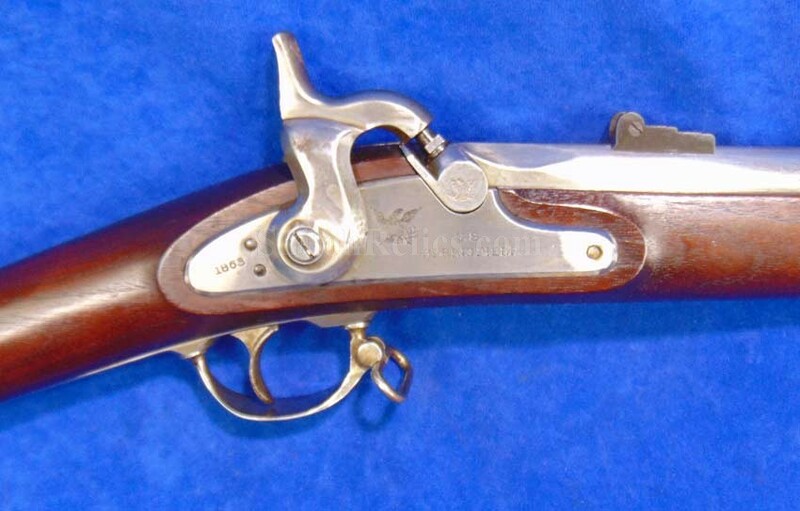 It has a pleasing look all over that makes a great display. 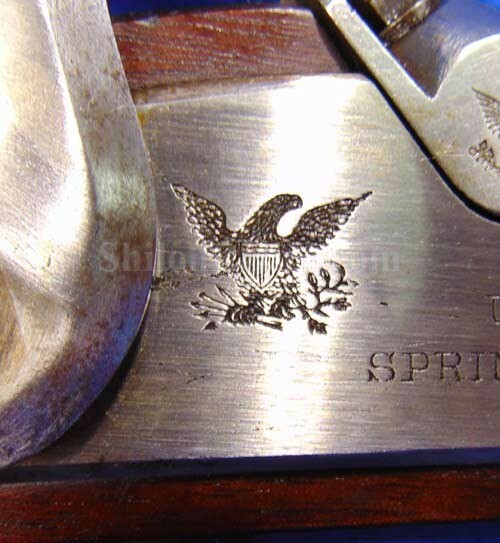 This weapon came from the collection of collector, dealer and author, Norm Flayderman. 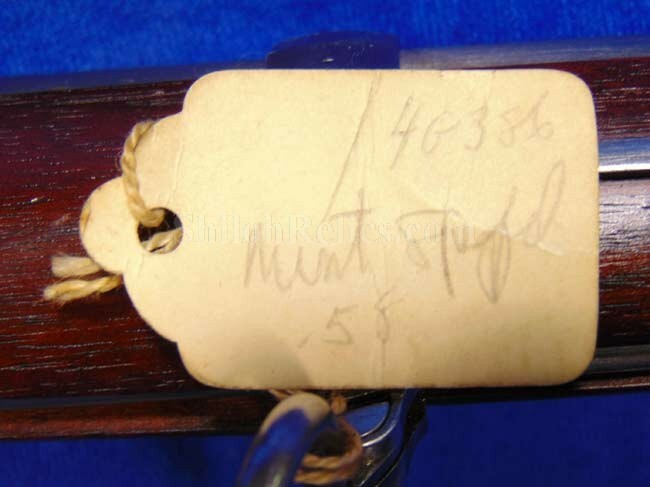 It has his old small paper tag on which he wrote "Mint Spfd .58". 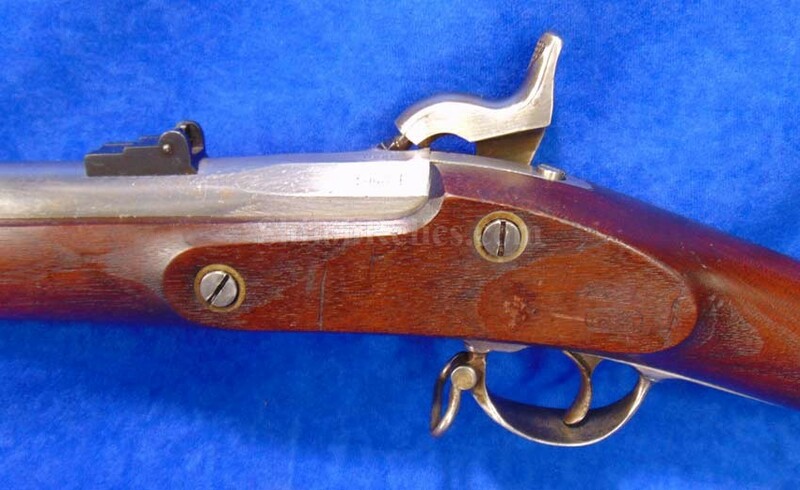 Mr. Flayderman was one of the foremost minds in antique weapons. 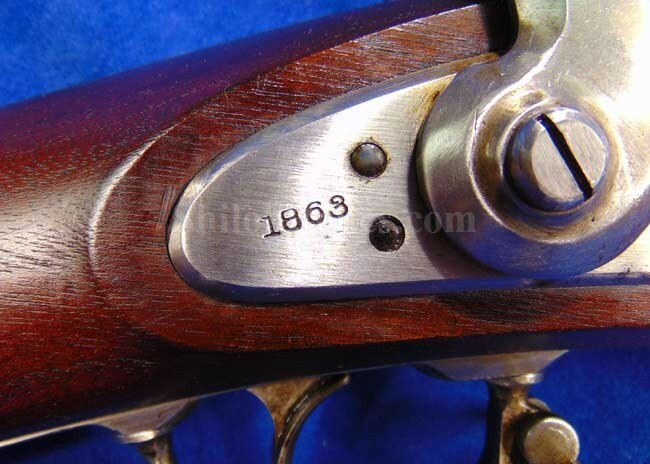 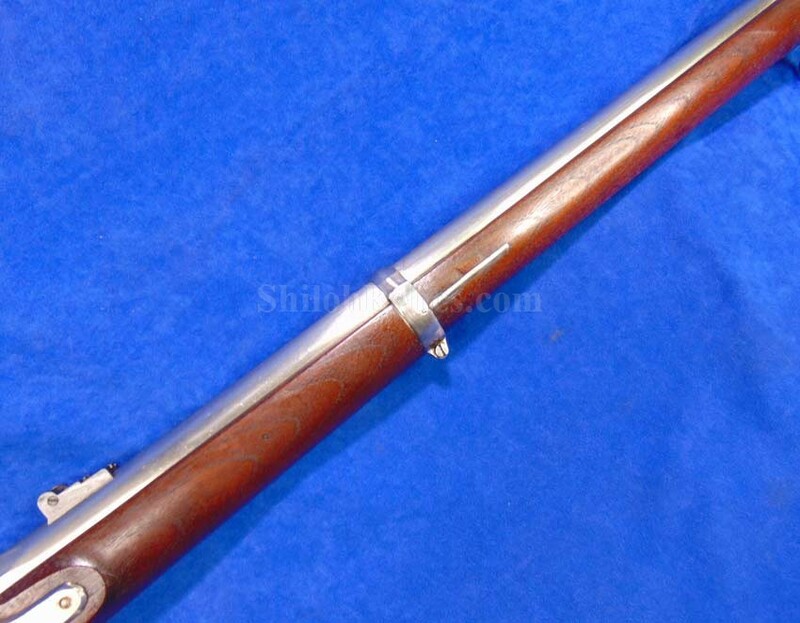 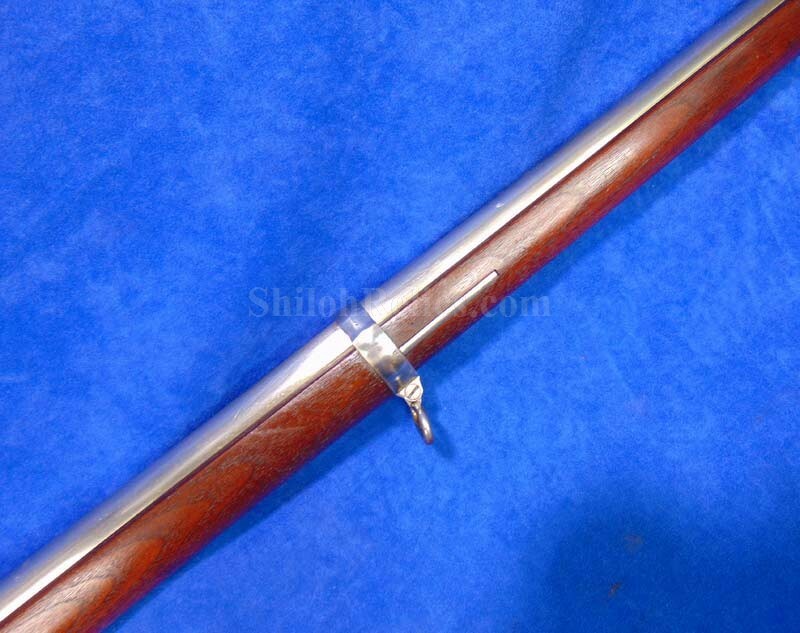 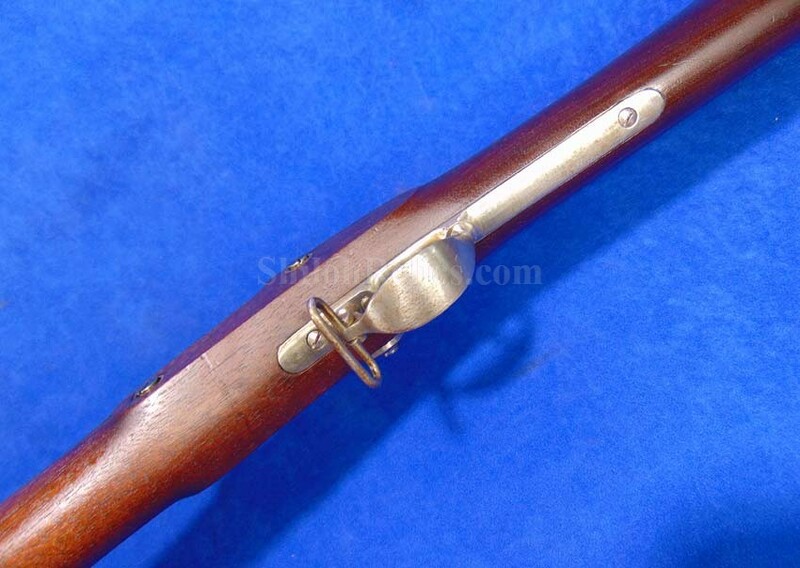 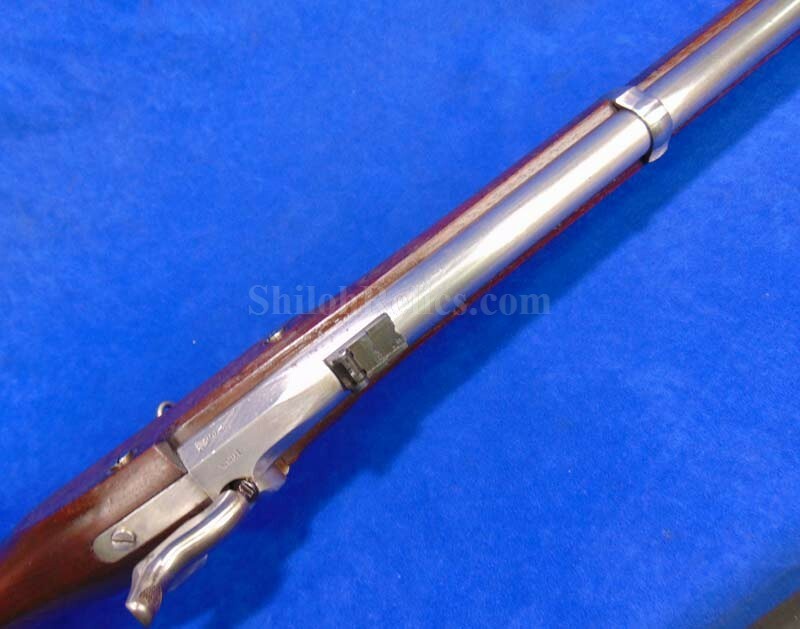 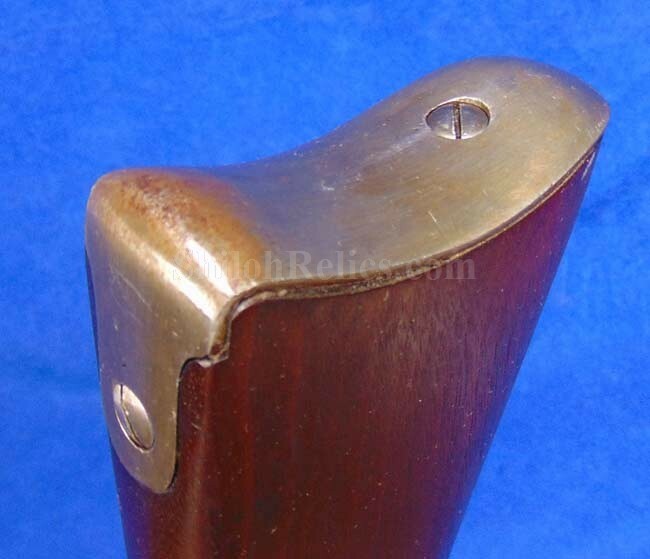 This is as nice an example of the authentic Civil War 1864 dated Springfield rifle that is definitely a few steps above the ones you usually encounter. 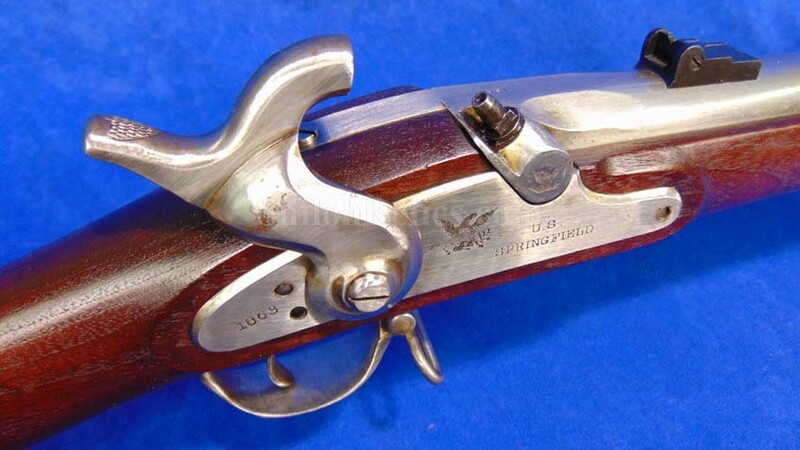 If you have wanted one that you won't have to worry about upgrading, then this one is for you.